Liudmila Konovalova of the Vienna Ballet dancing fragments of the Black Swan variation from Swan Lake, partnered by Matthew Golding of The Royal Ballet, with whom performed at the Ave Maya Gala celebrating the great Maya Plisetskaya in London. For more, read http://www.LiudmilaBallerina.com. Spending the day at Claude Monet’s home and garden at Giverny. Many of the painter’s most famous works depict the water lily pond and surrounding gardens found on the property. Monet first spotted the small village that he came to call home while passing by on a train. Not long after, he relocated his family from Paris, and the rest is art history. Los Angeles Mayor Eric Garretti, here greeting then President Barak Obama, has let it be known that he is thinking of running for the Presidency. IF ERIC GARCETTI RUNS FOR PRESIDENT, what will it mean for Hispanics not only in his hometown but beyond? Who is or who isn’t Latino? As for Garcetti, Los Angeles’ 46-year-old mayor’s grandfather was born in Mexico. His great-grandfather, Massimo Garcetti, was a Mexican judge who was hanged during the Mexican Revolution. Garcetti speaks perfect Spanish. He not only considers himself Hispanic, he has also called himself Chicano. From Napoleon and The Christ, due out in 2019 in the U.S. and France, commemorating the 250th anniversary of Napoleon Bonaparte’s birth. DID NAPOLEON UNVEIL an astonishing truth concealed for centuries? When Napoleon came to power he had the Musée du Louvre, located on Paris’ Right Bank, renamed in his honor — and soon the Musée Napoleon was overflowing with the artistic spoils of war as Bonaparte’s Grand Army swept across the continent. 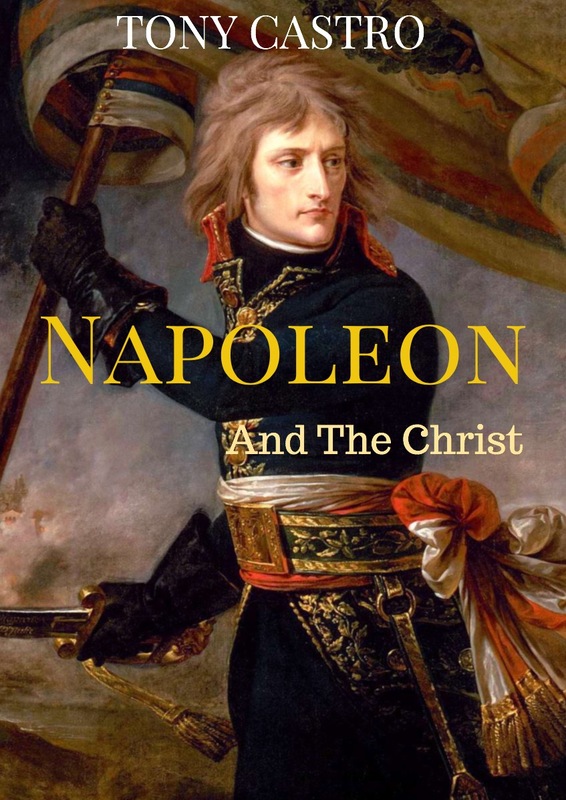 Among the cultural artifacts that made their way to Paris were hundreds of paintings and sculptures, including every image Napoleon could find of Jesus Christ,as well as the sacred relics from the crucifixion. Why? Why this obsession from the conqueror who had fought endlessly with Pope Pius VII who ultimately excommunicated him? What did Napoleon know that had eluded everyone else for over seventeen centuries? I can honestly say I escorted my wife to the prom! With Renee at her friend AJ McLean's prom-themed 40 birthday party at The Mark on LA's Westside.